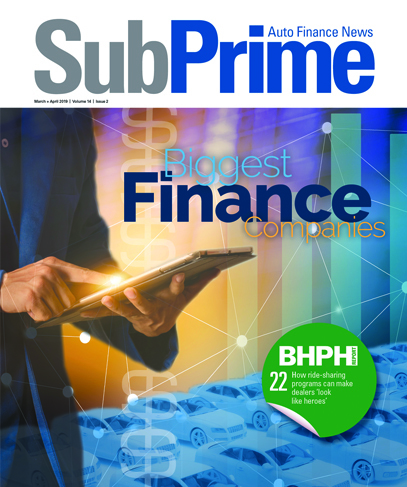 Finance companies continue to fill and expand their portfolios, especially when buying paper attached to a new vehicle that’s becoming more difficult for consumers to afford as transaction prices and interest rates keep climbing. October data shared by Edmunds and Kelley Blue Book on Thursday morning illuminated the trends, which to a degree are being impacted by high-line models. The analysts at Kelley Blue Book reported the estimated average transaction price for light vehicles in the United States came in at $37,007 in October. They indicated new-vehicle prices increased by $1,118 or 3.1 percent year-over-year while remaining flat compared to the previous month. “October was a strong month for transaction prices, as the new-car average rose 3 percent,” Kelley Blue Book analyst Tim Fleming said. “However, much of the growth was aligned to higher priced vehicles like full-size trucks and SUVs. “In addition, Tesla is now driving the industry numbers up in a meaningful way as the brand’s sales volume recently soared to the level of top luxury automakers,” Fleming continued. “All segments in the $20,000 to $30,000 price range also showed little-to-no growth, which could be cause for concern considering these segments make up nearly half of the industry’s sales totals,” he went on to say. And with only select consumers having at least $20,000 readily accessible — especially in the subprime space — the demand for financing is there, putting even more light on the interest-rate moves made by the Federal Reserve. Tightening credit conditions continued to squeeze consumer wallets in October, according to the experts at Edmunds. The annual percentage rate (APR) on new financed vehicles averaged 6.2 percent in October, a 1.3-percent increase from a year ago, and a 2-percent increase from five years ago. Edmunds pointed out that average is at the highest level on record since January 2009. “We haven’t seen interest rates hit the 6 percent mark in nearly 10 years, and zero percent finance loans have been cut down by nearly a third of where they were in 2016,” said Jeremy Acevedo, Edmunds’ manager of industry analysis. “It’s getting harder and harder for shoppers to afford a new car, and if the economy starts to slip, we’re at a point now where we really could start to see some significant impacts in the auto market,” Acevedo continued. Edmunds mentioned high interest rates have been the driving factor eating into car shoppers' wallets. Analysts computed the average new-vehicle buyer will pay $1,316 more in interest over the life of the contract if the individual bought a vehicle this past October compared to October of last year (taking into consideration average term lengths, average amount financed and average APRs). And Edmunds reiterated that shoppers with lower-than-average credit scores could pay even more. “Access to cheap credit has been a key factor in the industry's post-recession sales rally and transition toward pricier trucks and SUVs. Now that we’re entering a time when transaction prices are also booming, these rising rates compromise affordability and will likely begin to dampen demand moving forward,” Acevedo said. “Even with upcoming holiday sales piling extra cash on the hood, shoppers planning on financing might be finding themselves priced out of vehicles they thought they could previously afford,” he went on to say.